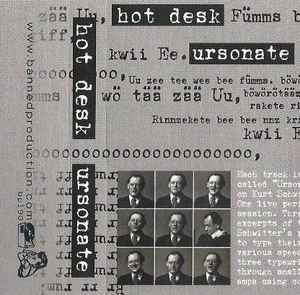 Each track is a version of a piece called "Ursonate," which is based on Kurt Schwitters' poem Ursonate. One live performance and one "studio" session. Three performers were given excerpts of the text of Schwitters' poem and asked to type their excerpts at various speeds. Each of the three typewriters were amplified through small guitar practice amps using contact mics.